Your skin will be singing after an 80-min. nightingale-droppings facial, the signature treatment at Maui's Hotel Wailea Spa. Obviously, we're not talking about ordinary bird poo because that would be gross (well, grosser). Collected droppings are treated with ultraviolet rays to kill bacteria, then pulverized into a fine powder. A pinch of the odorless brown dust, mixed with water, forms a paste that is applied to the skin. 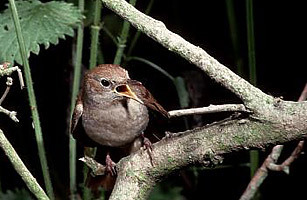 Nightingale droppings are apparently a well-kept Japanese beauty secret  a staple of geishas and Kabuki actors, who used it to repair skin damage caused by heavy makeup use. Nightingale poop "bleaches the skin [and] helps to exfoliate, which then prevents blemishes," says lead therapist Lula Pacheco. "It gives you an even tone and texture." A recommended weekly treatment costs up to $225, no obstacle to the spa's jet-setting celebrity clientele. "They just love it," she says. See the best new botox-free beauty gadgets on RealSimple.com.